Tokyo, more than any other city on Earth, is a golden land of nerd culture. So much of nerd fandom originated here (and boy does it show). From video games to anime, samurai to geisha, there is so much to explore, discover, and adore in nerdy Tokyo. Akihabara is the number one district for nerd culture in Tokyo, overflowing with themed cafes, vintage video game stores, and anime-related merchandise. Looking for nerdy things to do in Tokyo? Definitely start here. 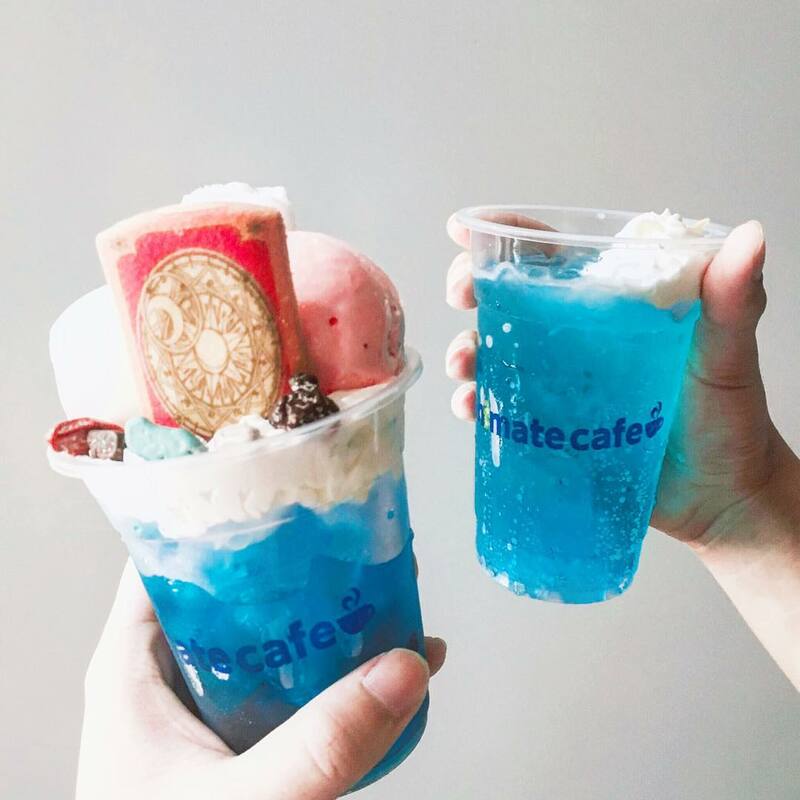 For those who grew up through the nineties and noughties enjoying the height of the Final Fantasy and Dragon Quest crazes, this cafe is a dream come true. Situated just outside Akihabara Station, the Square-Enix Cafe provides coffee and snacks themed around the game of the month, presented beautifully (and usually on the sweet side!) Merchandise can be browsed and bought, from the hottest new game to older classics. Every so often, when a new Square Enix game launches, the entire cafe’s decor, menu items, music, and items for sale dramatically transform, giving both locals and tourists a reason to keep returning. The Gundam franchise is huge in Japan, with hundreds of stores across the country dedicated to models that can be bought, built, and painted. 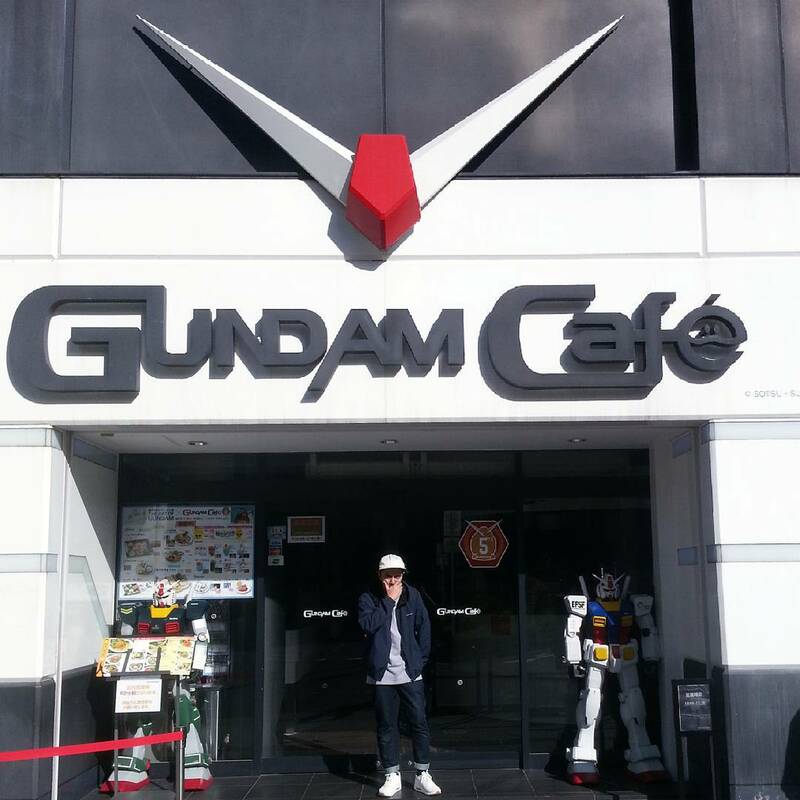 At the Gundam Cafe, diners are treated to coffees, cakes, pancakes, and ice cream all named for and styled after different characters and mechs from the Gundam universe. Servers greet you with a salute and classic lines from the anime, and there is even an adjoined store for super fun merchandise. In Japan, people take exceptional, immaculate care of their toys and games. 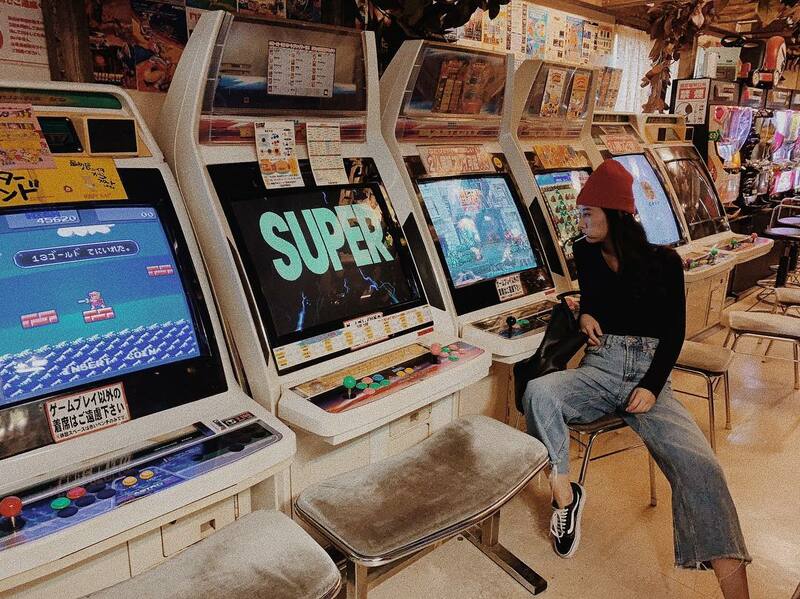 In Akihabara (and Osaka’s Denden Town), vintage video game stores can be found in abundance. The number one store is definitely Super Potato, a store with a lifesize Mario at the door. Inside are aisles upon aisles of video game consoles, cartridges, and discs from the eighties up to the modern day. Every single machine and game is in crisp, perfect condition and incredibly affordable. There are also vintage arcade machines to play and old merchandise from Nintendo and other brands that can’t be found outside of Japan. Animate is a big chain, with stores found across Japan and Taiwan. The store in Akihabara, however, is the biggest and best of the bunch. Everything an anime fan could ask for is here: from DVDs and blu-rays to manga, toys, games, plushies, statues, and posters. The list goes on and on. Wandering and browsing itself is enough of an exciting experience, seeing favorite characters brought to life, and seeing so many anime fans all in one place, losing themselves in their favorite worlds. Nakano is a relatively quiet residential district, but it has one well-kept nerd-related secret: Nakano Broadway shopping center. 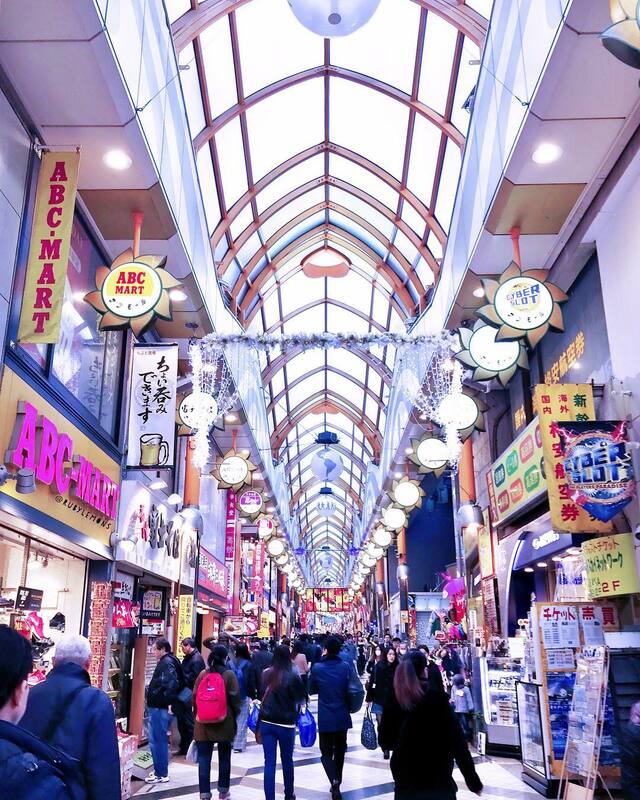 Nakano Broadway is very similar to Akihabara, but definitely lesser-known. In fact, while most tourists flock to Akihabara for their games, anime, and action figures, local Tokyoites are shopping in Nakano Broadway for all the same items (just found in a non-touristy space, with just as much variety and often slightly cheaper prices). The space is an indoor shopping center with cafes, restaurants, and video game and anime stores. 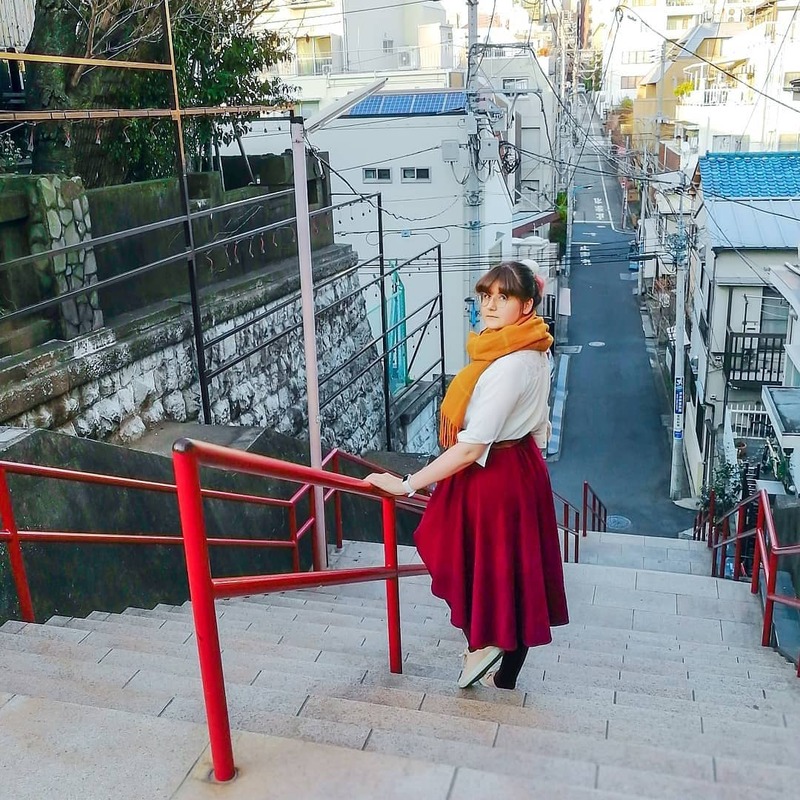 One of the most beautiful and up-market areas in Tokyo draws in more than just foodies and sightseers: it also has a few things for the travelling nerd to discover and enjoy. 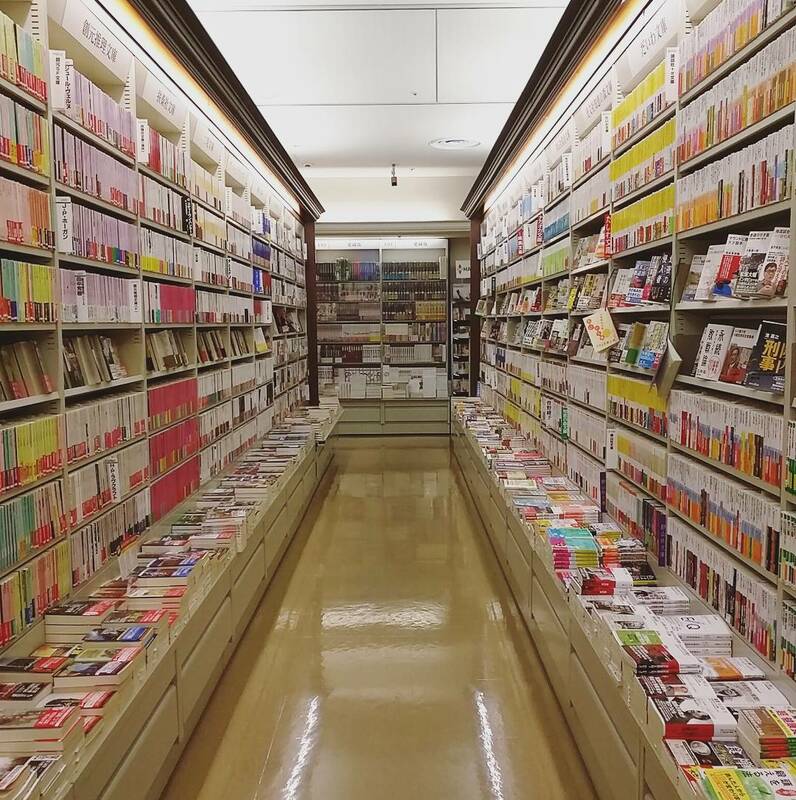 While Pokemon Centers can be found across Japan, here is one of the smaller branches, providing a more intimate shopping experience (but with just as much variety in its offerings). The focus here is on Pokemon toys and plushies, and there is huge incentive to visit every few months as the toys on offer change with the seasons. Special edition Pokemon pop-up constantly for events like Halloween (a very big deal in Japan) or just to match the changes in the seasons. This is currently the only Pokemon Cafe in Tokyo, and it is attached to the Pokemon Center DX. The cafe offers themed snacks, coffees, and milkshakes all in classic pokemon shapes and with adorable names. There is often a waiting list, given how popular it is, so it’s a good idea to join the list and browse the store while you wait for a seat. A lot of foreign residents of Tokyo, or those visiting and swept up in the excitement, want to join the fun of collecting manga, or want to deepen their knowledge of Japanese culture while they’re there. Maruzen Bookstore is the best place to do that, with a huge English section which offers a good range of manga for sale, as well as Japanese history books and literature, a lot of which can’t be found on Amazon or Kindle and is often out of print. This area is one of the happiest and energetic in Tokyo. Full of hotels, cafes, and cheap-but-tasty restaurants, Ikebukuro is a big draw for budget travellers and young nerds. The most successful Sanrio mascot, after Hello Kitty, is the depressed and lethargic egg, Gudetama (his name deriving from the Japanese word for egg – tamago – and the onomatopoeia for laziness – gude). Gudetama Cafes have been slowly popping up across Japan and Taiwan, and the cafe in Ikebukuro is currently the only one in Tokyo. The cafe’s interior is styled after Gudetama as he lazes around sorrowfully in different hilarious positions and situations, and the menu items all feature his sad face in a clever way. The menu also offers a mix of sweet foods and full meal items, such as sandwiches and burgers. Any anime fan who visits Tokyo has to make a stop at this cafe. Rather than having one specific theme, the tone here is simply ‘anime is great!’ The walls, posters, tables, placemats, coasters — essentially all of the decor — are dripping with color and vibrancy. Happy anime faces are everywhere, including atop the coffee and in the food. The menu is a great mix of desserts and more traditional Japanese foods like katsu curry and grilled fish. More than a themed cafe, it’s a great place to have a wholesome lunch. 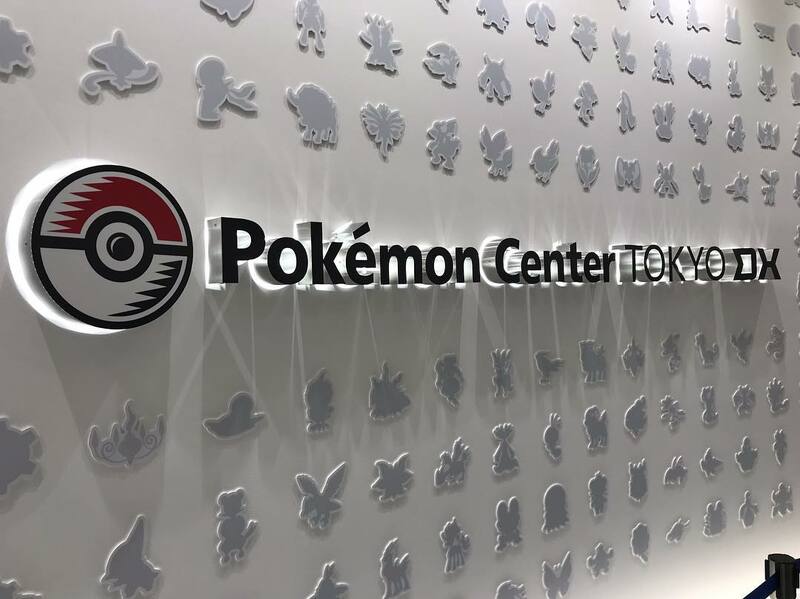 The biggest Pokemon Center in Tokyo is, of course, the biggest in the world. This place is a dream come true for Pokemon fans as they make their way through a world of plushies that are as close to real life Pokemon as you could imagine. This store also does some unique and exciting themes, such as 2018’s month of selling plushies of every single one of the original 151 Pokemon, celebrating the launch of Let’s Go Pikachu and Eevee. The most famous and exciting area of Tokyo holds a wealth of things to do, from shopping to movies to museums. The atmosphere is always buzzing, always enticing. Japan draws so many kinds of nerds, for so many reasons, and for those who aren’t anime or video game nerds, but rather keen history buffs, there’s the incredible Samurai Museum. This museum, situated in Kabukicho, offers hourly tours showing off ancient samurai armor and weapons and explaining the lives and stories of famous samurai and shoguns, such as Tokugawa Ieyasu and Oda Nobunaga. There’s even a demonstration of how to wield a katana by a classically trained samurai. 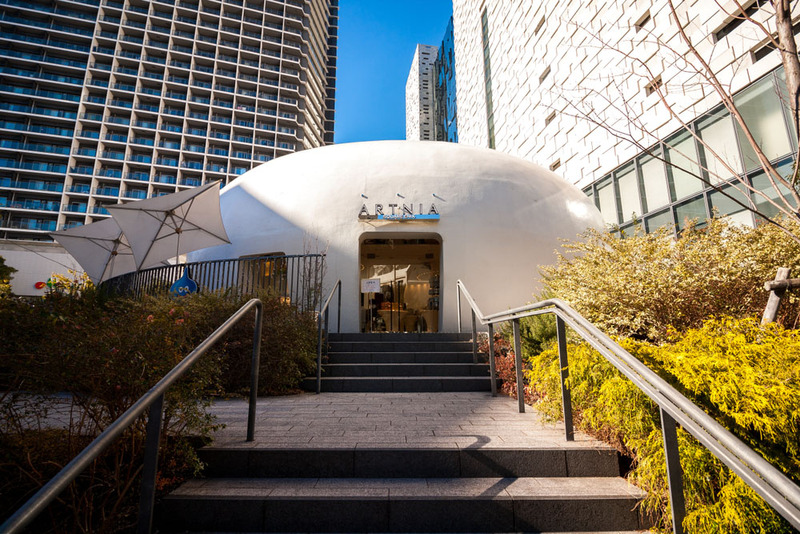 This strangely egg-shaped building is situated on a grassy mound right outside the Square Enix headquarters. 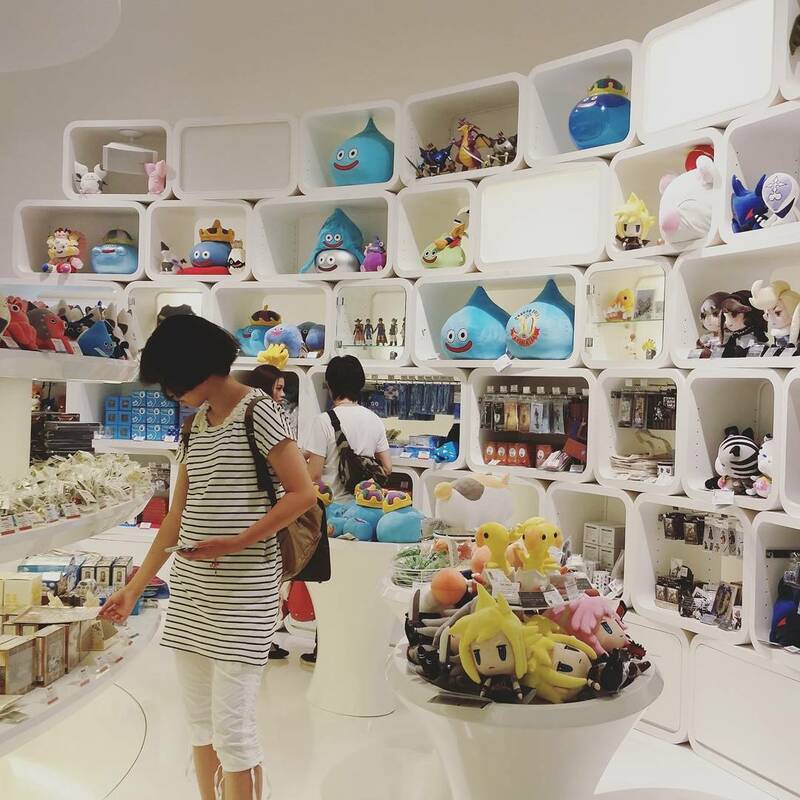 Inside is a store selling a tremendous selection of Square Enix merchandise, including plushies from Final Fantasy and Dragon Quest, such as Slimes, Chocobos, and Tonberries. There are also t-shirts, soundtrack CDs, and playing cards for sale. Once exhausted from shopping, the cafe area offers some affordable and themed coffees and sweet snacks. The Suga Shrine is one of many beautiful shrines in Tokyo, and while it might not be as spectacular as the Senso-ji in Asakusa, this one is hugely popular with anime lovers for the staircase leading up to it. This staircase, with its simple red railing, seems tame at first, until it clicks that this is the staircase from the most famous shot in the biggest anime film in history: Your Name (or Kimi no Na wa). The staircase was featured in every promotional poster and trailer before the film’s release, and continues to be the image most associated with the film. As such, getting a photo at this staircase is a must-do. One of the most wildly-decorated rooms in all of Japan, the Kawaii Monster Cafe is a ludicrously-designed place with silly creatures adorning every wall, doorway, table, and chair. The servers are dressed up in lavish, adorable outfits, and the food is the brightest, most colorful cuisine you’re likely to see in your lifetime. Eating here is akin to taking part in the Mad Hatter’s tea party, if that party were held in the brain of a six-year-old girl. An incredible experience.